Caramel Magic Cake. A cake and a flan all in one. A truly magical dessert! Caramel Magic Cake. Yep, it’s exactly that! A cake and a flan all in one. A truly magical dessert! Similar to a magic cake! Easy to make and really yummy! 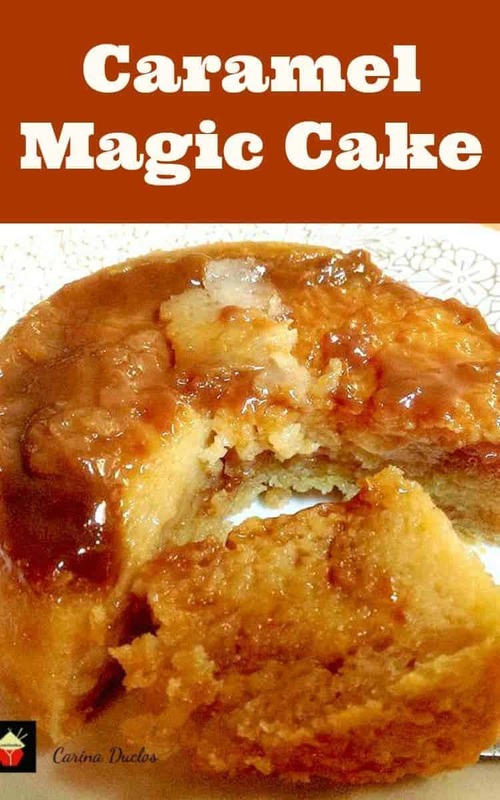 Caramel Magic Cake. This is such a delicious dessert and a great comfort food recipe to enjoy. This delicious recipe has been generously shared by one of our great cooks, Carina. 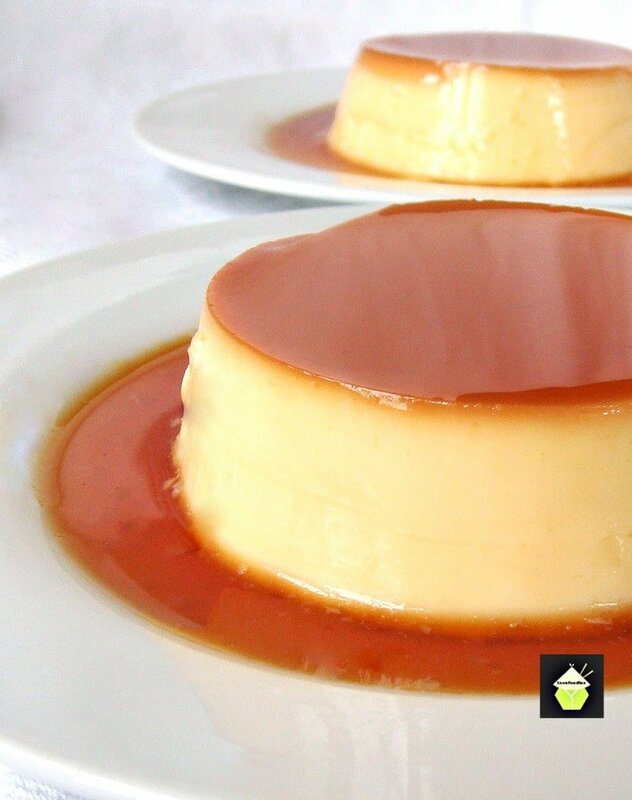 She’s always coming up with great recipes, and here we have a recipe for Caramel Cake Flan. 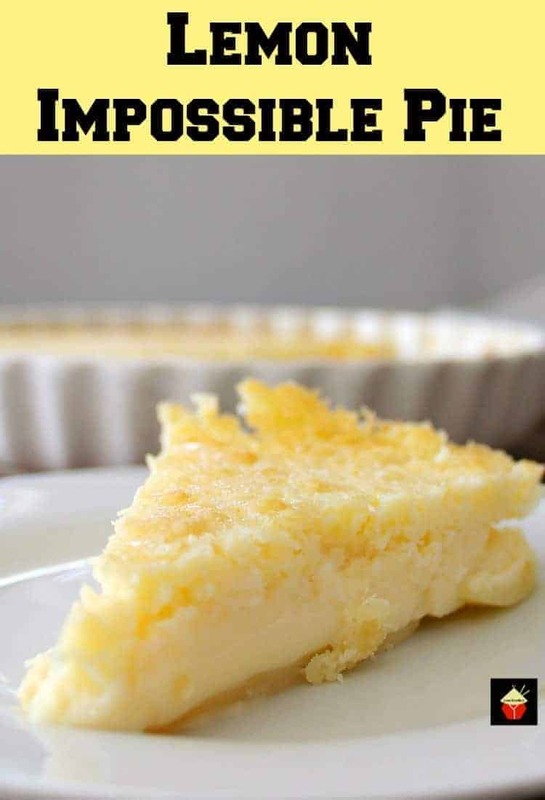 It’s a cross between a Leche / Flan / Egg Custard and a cake! Carina first saw the recipe being shown on Pati’s Mexican Food TV Show, and decided after scribbling down the recipe whilst watching the cook show, she would make it and see how it turned out, and here is the final product! Carina says it is really AWESOME and yes, the possibilities are endless! 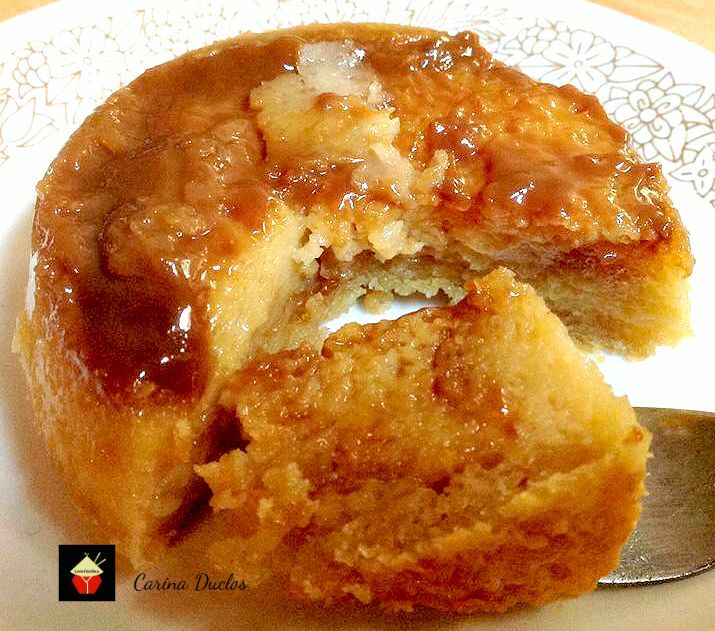 You could even line the bottom with apple or pear slices in the caramel so it comes out like an upside down cake! 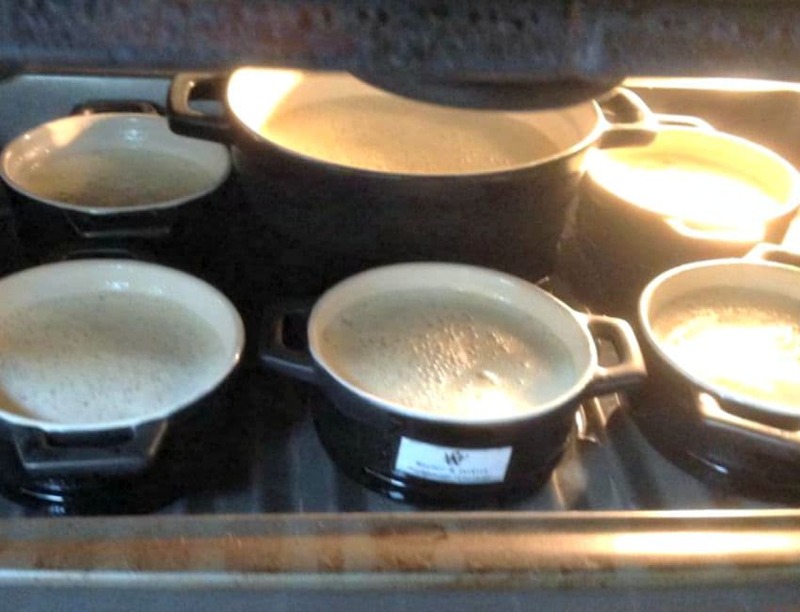 *** I used ceramic moulds/ramekins ( mine are 4 inches diameter and 2 inches deep) and because I don’t have 8, I used 5 and added the remaining mix into one large baking dish. 2. In a mixing bowl, beat the butter and sugar until fluffy and add vanilla. Then, beat in the egg. 3. In a separate bowl, mix the flour, baking powder, baking soda and salt. At medium speed, beat in half of the flour mixture and half of the buttermilk into the butter / sugar mixture. Then, beat in the remaining. Mix for an additional 2 or 3 minutes. 4. In a blender mix eggs, vanilla, evaporated milk and sweetened condensed milk until smooth. 5. Pour the cake batter into each mould ( make sure you put the same amount) Then, pour the flan mixture on top. 6. Place the moulds in a deep large pan or baking dish. Pour hot water into the baking pan up to halfway the height of the moulds. Cover the pan with aluminum foil and seal and bake for about 50 to 55 minutes (check with a toothpick that the cake is done). Remove from the water bath, let it cool. Remember you put the cake batter first and the flan on top? Well, you will find the flan went to the bottom and married the dulce de leche and the cake ended on top!! How cool this is eh? Refrigerate a couple of hours, turn out onto a plate, so it is ‘upside down’ and enjoy! 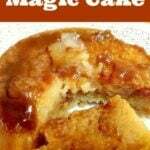 We’d love to hear from you and what you thought of our Caramel Magic Cake recipe. Did you make any changes or add some other goodies? Let us know in the comments below. Thanks for reading and happy cooking! Here are a few more delicious recipes for you to enjoy! In a mixing bowl, beat the butter and sugar until fluffy and add vanilla. Then, beat in the egg. In a separate bowl, mix the flour, baking powder, baking soda and salt. At medium speed, beat in half of the flour mixture and half of the buttermilk into the butter / sugar mixture. Then, beat in the remaining. Mix for an additional 2 or 3 minutes. In a blender mix eggs, vanilla, evaporated milk and sweetened condensed milk until smooth. Pour the cake batter into each mould ( make sure you put the same amount) Then, pour the flan mixture on top. Place the moulds in a deep large pan or baking dish. Pour hot water into the baking pan up to halfway the height of the moulds. Cover the pan with aluminum foil and seal and bake for about 50 to 55 minutes (check with a toothpick that the cake is done). Remove from the water bath, let it cool. This looks delicious! Would this recipe work in one large pan instead of individual moulds? Followed the recipe exact and practically nothing has changed after 50mins in the oven. Just ramekins of liquid. Complete disappointment and a waste of ingredients. Love your ramekins.Where did you get yours?.I like the little handle. We followed the directions 100% and baked it at 350 for 55 minutes with the foil and an additional 20 minutes without the foil…..and nothing but a soupy sloppy mess. 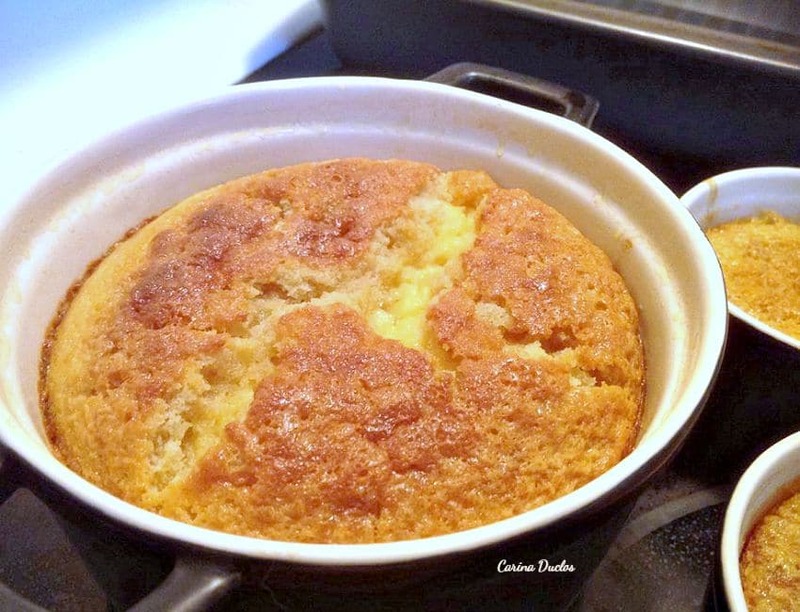 The cake did not bake into a cake at all….and the custard did not gel. VERY DISAPPOINTED IN THE RECIPE. Don’t make this in a bundt pan, it stuck really bad, even after I greased it well! This looks so good! What is dulce de leche and where would I find it to buy? Thanks! Hi Jenn, Not sure which country you are in, (everyone calls it something different! ), but Dulce De Leche is a type of caramel sauce. if you can’t get it in the supermarket, (it is usually in the baking section), you can look for a Can of Carnation or Eagle Brand Caramel flavored Sweetened Condensed Milk. 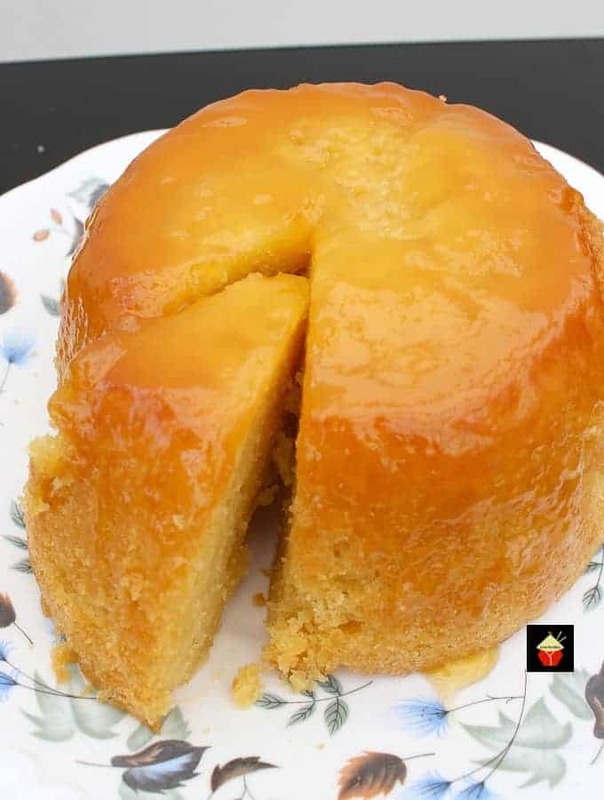 If you wanted to make it yourself from scratch, we have a recipe here, it’s easy to do, but it does take a little time, https://lovefoodies.com/how-to-make-dulce-de-leche-caramel.html Hope that helps! Hi Sandra, yes, you can use one large pan, however, please be aware it will need to bake in a water bath to ensure even and gentle cooking (otherwise the batter won’t separate in to the layers described). So make sure the pan you use will fit into a larger pan for the water bath where you will be able to pour water in it. Hope that helps! Hi can I make this with a big bunt cake pan instead of individual pans? Hi Alex, I don’t see why you couldn’t! I would be sure to grease the pan very well (you know bundt pans are always a little harder to stop from sticking because of the patterns and grooves, and also I would imagine the cook time will be a little longer, but you can keep an eye on that as it’s cooking. Follow the same instructions and I am sure it will be fine! Happy baking!